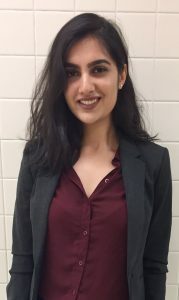 Aqsa Khalil is currently in her third year, completing her Honors BA degree in Law and Society, and a Certificate in Public Administration and Law. 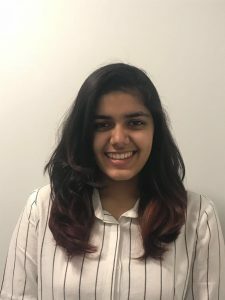 Serving as First-Year Representative and Secretary in her past years, Aqsa has developed a sincere interest and appreciation for advocating for the student body within LAPS. As she has gained comprehensive knowledge of the innermost workings of SCOLAPS, Aqsa hopes to contribute to students’ academic and social experience by collaborating with other academic clubs and organizations to provide students with the resources they need. Aqsa is eager to work alongside Faculty and be a part of Senate, Faculty Council, and the Executive Committee to further enhance her leadership skills and learn more about how she can aid in representing Councilors’ voice. Aqsa aspires to one day, have an exciting career in the legal and investigations field. Fun Fact: One of Aqsa’s dreams is to travel abroad and help children and families in impoverished communities. 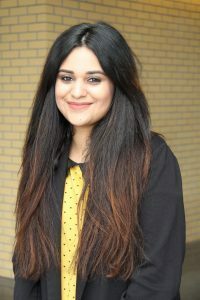 Amanat Khullar is currently in her fourth year double majoring in Law & Society and Political Science. She is interested in the study of International Relations and Human Rights Law. After her undergrad, she hopes to attend NPSIA for a combined MA/JD in International Affairs. Amanat has always been a part of organizations concerning humanitarian & social justice issues and is currently involved with the Canadian Centre for Victims of Torture, where she assists the youth through mentorship, facilitating workshops etc. Along with that, she works as a Cash handler at Old Navy and helps organize donation drives and events for their local community-serving programs. She hopes to continue bringing a positive impact within her community and aims to productively apply her leadership skills to impart positive changes in York through SCOLAPS. Her primary goal this year is to advocate for the student body within the faculty and to increase student engagement in academic governance. In the 2018-19 year, Amanat is also representing the student body on the York University Senate. Fun Fact: In her spare time, Amanat loves to write poetry and short stories. She is also a huge Potterhead. Naemat Khurana is in her second year pursuing a bachelor’s in commerce with a specialization in Finance. An extremely organized individual, she likes to help put together logistics for events. Being aware according to her is important and hence tries to rope in people into knowing about the latest updates from the faculty and how this affects each individual. She has in the past served as the First Year Representative and served on the committee for Curriculum, Curricular Policy, and Standards as well as Faculty Council, giving her a better idea of putting forward student proposals. An international student from India she can help out students who find it difficult to find their bearings and are intimidated by a new environment. She hopes to fulfill her duties effectively as treasurer in the coming year. Fun Fact: She is deeply inspired by the book 'Outlier' by Malcolm Gladwell. Michelle Tracey N. O. Cobblah is in her second year pursuing a double major in Economics and Law & Society. 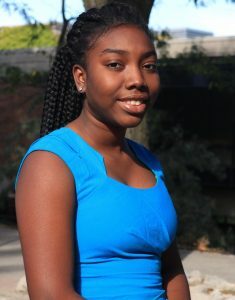 She is originally from Ghana and loves the diversity of the Canadian Society. She is passionate about advocacy work and academic governance and has been actively involved in the student council. Last year, she was a member of the first year task force, served on the committee of Student Academic Petitions and Appeals as well as the Tenure and Promotions Committee. As secretary, she hopes to work alongside all councillors to advocate for the student body within the faculty in order to increase academic success. She is a prospective law school candidate with a career goal of becoming a strategic management expert and an astute investment lawyer. She hopes to apply her background in economics and law to join the conversation about how efficient different education systems are in preparing the people for technological advancements and the world of artificial intelligence. She hopes to work in the Committee on Education, Science, and Technology of the African Union or in United Nations Education Scientific and Cultural Organization. Fun Fact: Michelle is a gifted interior decorator. If you need help with that, hit her up!